What is the difference between SpeechNet and Pop & Top? Category Archives for "Infant and Child Swallowing and Feeding Difficulties"
This blog category aims to provide information about infant and child swallowing and feeding development and difficulties. From difficulties range from breast to bottle feeding, difficulties starting solids and fussy eating. Chewing and Eating Problems in Middle and High School. If a child has had a chewing and eating problem or won’t eat lunches in primary school, the issues may well continue on in the middle school or high school years. ​Sometimes the issues become more of a concern as children enter high school when large growth spurts are expected and peer reactions become more important to the child. If they are only eating soft foods or have sensory feeding issues it can be hard for them to socialise or fellow students may “tease” then how long it takes for them to eat anything. This is why many high school students with eating problems will see a speech pathologist that works with this age group. Older high school children with history of disability or diagnosis (e.g., Down’s syndrome or autism may in fact be in a readier state to benefit from oro-motor or eating therapy. “Eating disorders” can be something different. A Speech pathologist generally works with eating problems as opposed the more commonly known “eating disorders”. Eating disorders include anorexia nervosa and bulimia nervosa. These are serious mental illnesses with onset commonly during the early high school years. They require specialized treatment and a Medical consult is strongly recommended if any such concerns arise. Eating Problems in High School can be sensory. Sensory issues can include strong reactions to tastes and smells that can reduce a person’s ability or willingness to eat foods. Even noisy or disruptive environments, such as eating malls and school yard areas in impact on some high school students making eating a problem for them. Moving from primary to high school environments may be stressful for some children. Some children that have been able to stabilise their sensory issues in the known primary environments may no longer be able to cope in the new high school environments. If there are other stresses (social and learning) their sensory issues may also heighten. ​Children on some medications (e.g., hyperactivity medications) can lose appetite and this coupled with slow or restricted sensory food choices may make it difficult for them to consume sufficient nutrition to maintain health and growth. High school students have reported that it can take them up to 1.5 to 2 hours to complete a meal. High school students frequently have large study and extra curriculum commitment. Meals that are taking extra-ordinary amounts of time to consume (to meet the growth spurts of an adolescent) can cause stress on the family and impact on achievements. 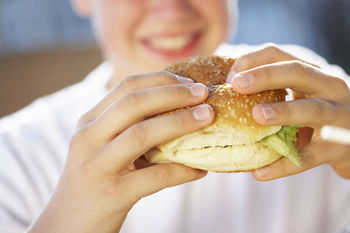 If a child or high school student is taking a long time to eat they may not be chewing effectively. This results in what is called a delayed oral phase of the eating process. If an up-down movement of the jaw is still being used then it can be impossible or very difficult for a child to grid up food in order to eat it. In this vertical chewing pattern, the jaw moves up and down in a vertical motion. Since the tongue and jaw are connected, the tongue will follow suit, also moving up and down (“tongue pump”). They may not have established the more mature a rotary chew movement. This is where the chew moves slightly side to side as well as up and down to grind foods. Another issue often seen in older high school students with feeding problems is restricted tongue movements. They may not be moving their tongues to side (later tongue movements) to gather food into a small ball (bolus) to get it ready for a swallow. The food remains scatter all over the tongue and mouth requiring several swallows to clear every mouthful. This can extend mealtimes to the point that it is not functional for the student or family. They may also just say the like a particular food. These foods may be the ones that are easy to eat. SpeechNet Speech Pathology within the Brisbane Feeding Clinic is experienced in working with the older high school student with feeding problems. They can provide assessments to determine if there are any underlying sensory or oro-motor difficulties that can be addressed to assist with meal-time management. Contact us today we're here to help! My son won’t eat lunch at school! Can a Primary School aged child still have a feeding difficulty? My Son won’t eat lunch at school. Can a Primary school aged child still have a feeding difficulty? If your child won't eat lunch at school, has a feeding difficulty and is in Primary School a Speech Pathologist can help and support in many ways please feel free to contact us with any questions or book an appointment in clinic or via Skype. A feeding difficulty is any type of problem a child has surrounding eating and drinking. A child’s inability or refusal to eat lunch at school can get to point that it is impacting on his health or learning potential. ​If a child consistently won’t eat lunch at school from drop off to pick up it can lead to loss of weight or binge cycles as they eat in the car or at home. Children need nutrition for learning at school. Attention and focus can be impacted on with feeding difficulties. Fussy eating (e.g., not wanting lunch box foods) can lead to other fussy eating issues. ​Feeding difficulties, fussy eating and eating disorders in children and can often place stress on the child and family. ​When does the fact that he won’t eat lunch at school become a “problem”? ​If a child’s growth and nutrition (eating food from all food categories) are staying on track and the teacher is not reporting he is falling asleep or very distracted in class, not eating lunch at school may be just something to monitor. ​i.e. If you ask them what they ate in their lunch box as soon as you see them or get upset when you are throwing away “good food” at the end of the day, a cycle of not eating school lunch can be reinforced. During conversation or through stories you read could highlight how eating is important for being healthy and playing sport. You could give examples of the consequences of not eating lunch e.g. “ooh I felt a bit tired at work today until I ate my lunch. Eating my lunch today give me the energy I needed to do well”; “Oh our puppy is looking very sleeping we might need to make sure he has eaten his lunch”. If you are worried about how hungry they are at the end of the day, be sure to offer nutritional choices for snacks after school. ​. A “meal” or non-nutritional snacks straight after school may then interrupt later meal times. If they feel they will get “treats” after school for not eating lunch, the cycle may just be reinforced. ​these can include thermos with left overs, cut up snacks (e.g. chicken pieces, crackers, cheese, carrot), rollup, savoury muffins, mini quiches and not just a sandwich eat day. 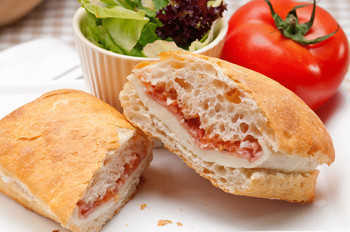 Ensure you are not offering too much in the school lunch! ​They may feel overwhelmed by all the food and then won’t eat lunch at school at all. You can quietly observe if some foods are eaten more than others. The eating concerns are going from “they won’t eat lunch at school” to eating in general is now being affected. “fussy eating” is impacting on lunch box choices. Generally extreme fussy eating is reducing by the time a chid starts Prep/ Grade 1. If fussy eating is continuing and there is just no foods they will eat you can put in a lunch box then support may be needed. You are concerned there are some underlying issues impacting on the “I won’t eat school lunch” situation. Remember there can be some underlying eating, chewing, sensory concerns behind “fussy eating”. 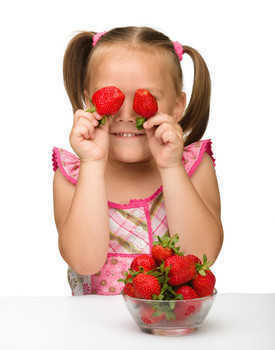 Children will avoid foods If they feel they are going to choke or find foods really hard to chew and swallow. The enormity of the issues often does not present until a child goes to formal school. When eating lunch at school they are required to take more responsibility for the eating for themselves (i.e., no Kindy teacher to remind them to eat this or that or to speed up if they want to play etc). ​For example they want to eat but they are so slow they can’t eat enough in during the time given (this may well be a chewing and swallowing issue and not just that they are easily distracted by the other children). How can a Speech Pathology Help when a child won’t eat lunch at school? ​The same muscles used in talking are also used for eating and swallowing. Speech Pathologists have detailed knowledge about these muscles and complex processes involved in feeding, therefore are a great source of assistance. SpeechNet Speech Pathology Brisbane Feeding Clinic work along-side Occupational Therapists, Dietitians, psychologists and other professions to investigate any underlying issues that may be impacting on why a child won’t eat lunch at school. Investigations may be required to discover specific strategies for dealing with anxiety, low appetite, sensory challenges, autism spectrum-related feeding issues, oral motor delay/disorder, and medically-based feeding/eating problems. 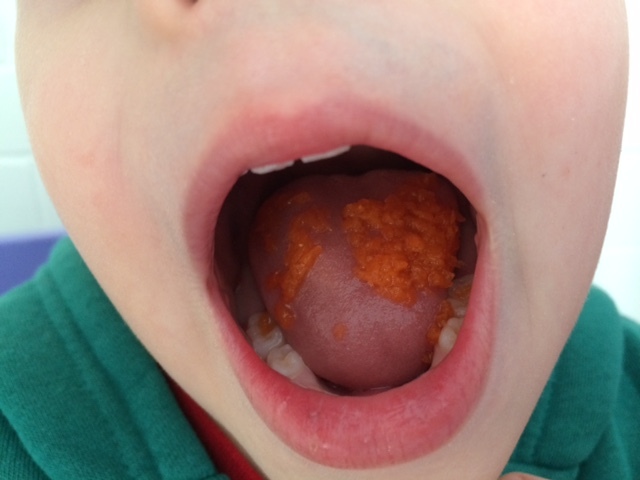 Conduct an oro-motor and feeding assessment to observe chew and swallow. Provide strategies regarding environments in the school that may be impacting on a child during lunches e.g. 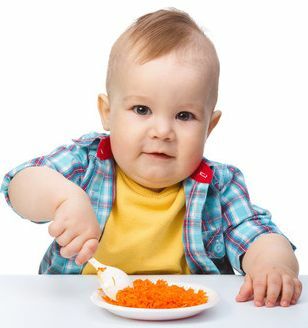 foods that need a spoon if child is poorly coordinated when they do not have a table to place foods on. Recommend altering the characteristics of the foods and drinks on offer to your child. Recommend having an x-ray of your child to get a closer understanding of their swallowing technique – usually conducted through a hospital if gagging and choking is occurring. Work with other professionals where necessary such as a Dietician, Occupational Therapist, Paediatrician or GP if nutritional concerns are apparent or potential other issues (e.g., late onset autism, allergies/ intolerances). When thinking about toddler food and what to offer and when can be a little daunting. However learning to eat follows milestone steps just like a toddlers gross motor skills like walking and running. Cognitive development of the brain is closely linked to feeding skill development. Feeding difficulties can be a real concern for parents. Feeding our children is one of the most important jobs a parent can do! For more information of feeding difficulties in children see our Infant & Child Feeding Difficulties Clinic. Steps that relate to the muscle movements and development over time to allow them to try and chew new foods and textures. 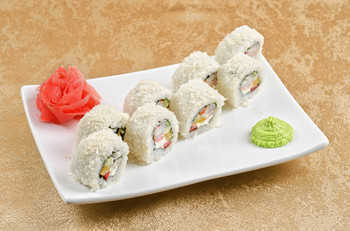 Willingness to try new tastes and textures and to understand the changes in their taste perceptions. Increased desire to feed themselves. Continue to slowly vary textures and range of foods and range of tastes to give the child varied food experiences. To manage their own feelings towards foods and manage non-ideal feeding experiences in order to reduce gag and not worry about it if they do. 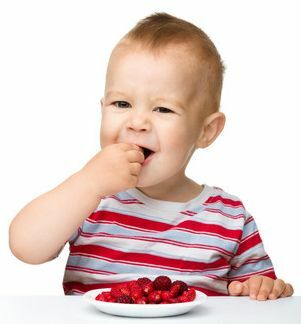 At about 2 years of age children are becoming more aware of their environment and hence “fears” of new foods can emerge – they may show a preference for familiar or preferred foods. This happens because their cognitive development, their speech and language has a boom and their sensory skills are also having a boost – they are learning that they can “think” and “express” what they want or don’t want. To avoid power struggles from developing by maintaining a positive interaction. To understand the child may not be being naughty for not eating but that they are trying to manage all the new thoughts and sensations around the mealtime experience. Parents need to coach and use words about the foods so the child begins to understand about the new foods. In this way the child can “learn” about them because the parent’s role is more like a coach telling them the things they are doing good. The “coach” encourages their willingness to try to eat foods offered and to maintain routines to help the child have boundaries. He just won’t swallow solids! He chews and chews and then still doesn’t swallow! We are here to help! Ask a question in the message box below and a qualified Speech Pathologist will personally reply within 24 hours. Book an Appointment today if you would like to stop being stressed about feeding and meals for your baby. When asked about a child’s milestones, parents often think about when they sat, crawled or walked. Learning to eat however also follows milestone steps. Cognitive development of the brain is closely linked to baby feeding skill development. Feeding difficulties can be a real concern for parents. Feeding our children is one of the most important jobs a parent can do! For more information of feeding difficulties in children see our Infant & Child Feeding Difficulties Clinic. To begin to organise themselves to make baby feeding accessible. Babies first establish sleep patterns & periods of alertness. The child will determine HOW MUCH feed they will take. To read the babies hunger cues and help them to organise themselves in to sleep and eat patterns. 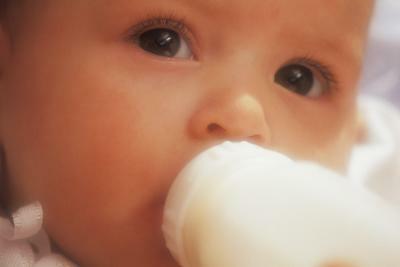 Parent’s determine WHAT the child is fed (breast, bottle, combination of these). Give and take in the feeding interaction begins as parents learn to read the babies needs correctly, the baby in response learns to respond to the parent’s behaviours – e.g., children recognises it dinner time as the carer sets up highchairs or prepares food in the kitchen. To learn about how spoons, feel in the mouth and how to take food off the spoon. Babies are still in control of HOW much they will take. 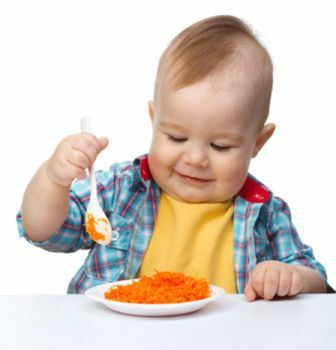 Babies need for food is triggered by CALORIE set points – they know nothing about volume i.e., they may not finish the last mouthful in the bowl as they do not see finishing the bowl as the “goal”! Determine WHEN and WHAT solids are introduced during this period. Reading babies cues for spoon presentation timing and “had enough” cues. This is when babies often start crawling and extending their physical distance from their parents. Their role is to explore the world and to manage their anxiety of becoming more independent. Children will control HOW MUCH and WHETHER to eat. A sense of “self” is emerging at this age and hence they can begin to establish that they can indicate “I don’t want it”. 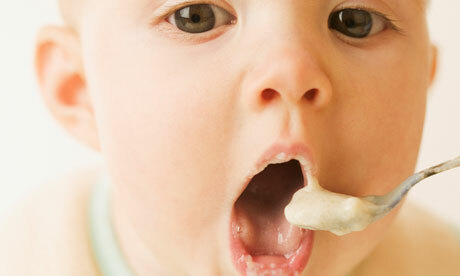 Taste buds are also developing and changing at this age so they may become less interested in baby foods. Encourage their new interest in independence including trying to self-feed and exploration of foods (messy play and eating with food). WHILE this is happening, parents need to provide structure or feeding routines and establish safe boundaries as the child wants to explore new foods. Parent controls WHAT and WHERE the child eats. 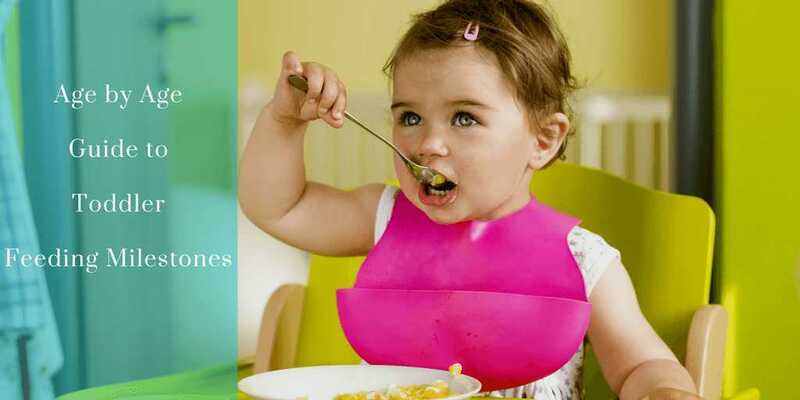 Establish a happy eating environment where the child is keen to try to feed themselves. It is OK to dual feed with you also having a spoon. This is important if you need to support their nutritional needs. Co-feeding can be fun and a great social experience. Have any baby feeding Questions? Won’t swallow the foods but seems to have food stored in their cheeks! Takes 10 swallows before on mouthful goes down! Then you may have a child that is having “Oral Phase” swallowing difficulties. A difficulty to swallow is called dysphagia (dis-fay-ja) but there are many types and causes of dysphagia. To understand dysphagia, it helps to first understand how swallowing occurs. The food enters the upper throat area (above the voice box), the soft palate is lifted to block off the nose and the epiglottis blocks off the airway. These actions helps to direct and force the food downward to the esophagus. Esophageal Stage, in which the food bolus enters the esophagus (the tube that transports food directly to the stomach). The bolus is moved to the stomach by a squeezing action of the throat muscles. trouble forming a ball with the food (bolus) so that it can be moved into the correct position ready for a swallow (less important with puree foods but this can be a key reason why lumpy foods are not swallowed). 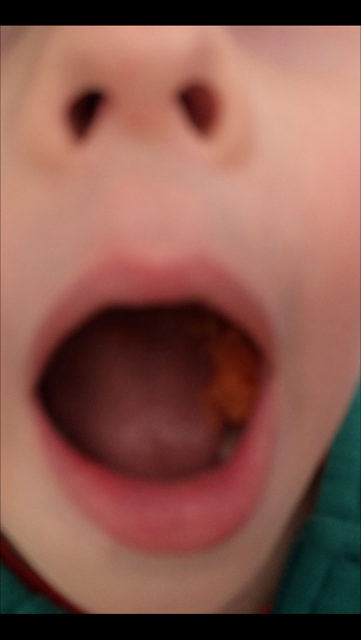 Food often remains scattered across the tongue and in the cheeks rather than being gathered into a ball (see photos below). Difficulties controlling foods in the mouth so that it goes into your throat too quickly often causing a gag or a vomit OR the food/bolus cannot be moved to the correct position on the tongue in order to initiate the swallow reflex. The role of the speech-language pathologist that has experience in paediatric dysphagia is to assess the factors that may be impacting on the swallow process and assist in developing a management plan. Let’s look at just one example where the child was “chewing” and “chewing” but seemed to take forever to actually swallow the food. He often needed several effort-able swallows to get a single mouthful down. 1.First of all his bite was adequate however his chew was inefficient. He used up and down jaw movements in attempt to chew foods such as carrots, meats or apple. However these types of foods really need a grinding or rotatory chew movement to get them ready for a swallow. Hence he was doing “lots of work” that made it look like he was chewing forever however the food was not actually being processed at all. He required assistance to learn a more mature form of chewing. 2 He had poor tongue movements which made it impossible for him to move food from his cheek pockets to his teeth and he could not use his tongue to form the food into a ball (bolus) for swallowing. Food would fall into his cheek pocket and he could not sweep the food out and place it back on his teeth where he could chew it. The food was scattered all over his tongue and cheeks. As he could not gather the food into a ball (a bolus) he could not get a clear swallow and kept swallowing the tiniest amounts of food as they randomly moved to the back of the tongue. Food needs to be moved as a “small pile” so a swallow can be triggered. Consequently the swallowing was very ineffective with significant amount of residue being left on his tongue meaning each mouthful was taking such a long time making his meals go on and on. Even after 5-6 swallows per mouthful the tongue was still coated with food. Often he would drink so much water to try to “wash it down” he no longer felt hungry. In the photos below you can see the food is all over his tongue. Using photos of his tongue and demonstrations of chewing and bolus formation he genuinely said “How do you do that! How do you get it all together in a ball like that?” The therapy involved using tongue exercise and techniques to assist him to learn how to form a bolus of food so that he could increase the efficiency of his swallow. The last picture clearly demonstrates the huge improvements he made! Tongue movements and awareness of tongue movements within his mouth was a key element to helping him learn how to swallow effectively. 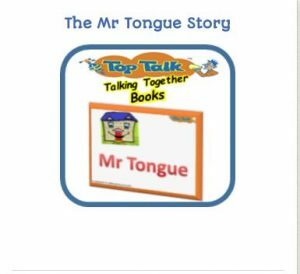 Using resources such as the Online Mr Tongue Story greatly assisted him! It is recommended that if you have concerns about your child’s swallowing skills that you should contact a speech-language pathologist experienced in paediatric dysphagia and feeding issues. Formation of food into a ball (a bolus) allows an efficient swallow. We are happy to arrange the most appropriate service for your child and family. Please contact us to discuss your needs.